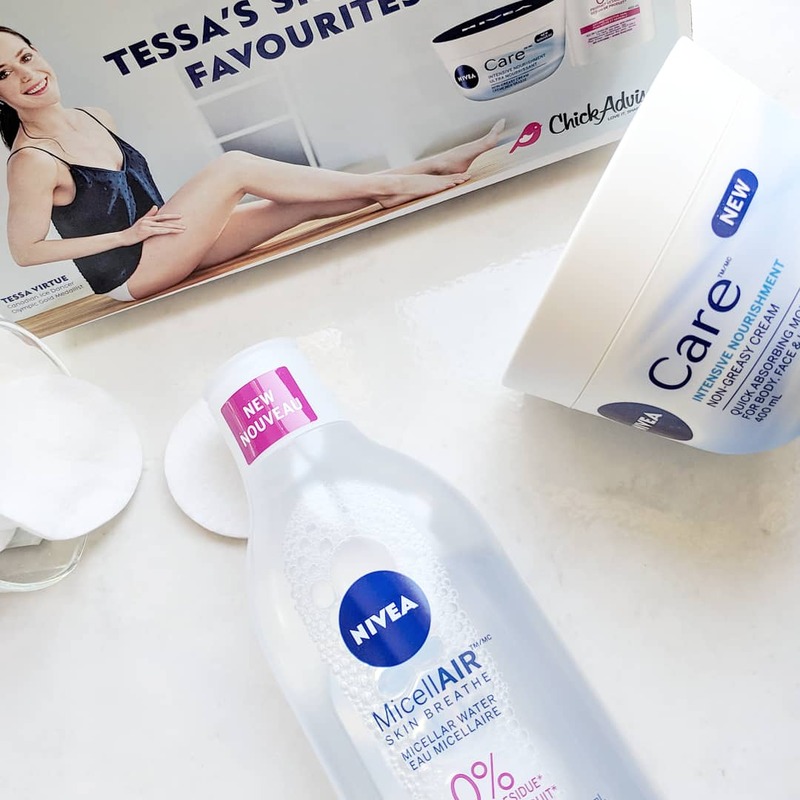 NIVEA is stepping up their game with these new products so I'm not surprised these are some of "Tessa Virtue's skincare favourites" #TessasFavourites #TessaxNIVEA! Spoiler alert: Ms. Virtue continues to do no wrong because I ended up loving these products as well. Continue reading to find out what these products are, and for my reviews. I’ve tried the original Nivea Moisturizing Crème way back and remember it being too thick for my liking, so I was worried about that also being an issue with this variety. To my surprise, this new NIVEA cream is actually really nice because it hydrating and nourishing but not greasy - don't let the fact that it comes in a tub (which is what I think is typically associated with thicker body creams like body butters) scare you. I love the matte packaging, and that it comes in a tub so you can really get in there and scoop out as much product as needed, though I find a little goes a long way. This cream is fast absorbing and pretty lightweight so I had no qualms reaching for it this summer, but because of how moisturizing and nourishing it is, I can also see myself using this well into the fall and winter. NIVEA's new micellar water line claims to be a 3-in-1 product that removes makeup, cleanses the skin, and refreshes it. I like to double cleanse when I wear heavier makeup so micellar water isn't the something I reach for on those days, but they are excellent for my light/no-makeup makeup days and/or perfect for lazy nights. With the NIVEA MicellAIR Micellar Water for Dry and Sensitive Skin, I can do all 3 steps in a few swipes with this product. It doesn't dry my skin out, and I don’t have to worry about the residual product causing me to break out. It is gentle but effective at removing makeup, and it is affordable (sold at drugstores!) which is basically all I look for in a micellar water. If you want to try micellar waters, this Nivea line is a good place to start. I received both products free for testing purposes but as always, reviews are honest and opinions are of my own. We are half way through summer and while I am looking forward to fall (AKA my favourite season), I am quite enjoying the warmer weather. It hasn't been overly hot so I have been spending a lot of time outside. Summer is my least favourite season so I would've be so much more hesitant if I didn't have some new skincare products to help protect my skin during and after sun exposure. Thankfully, I was able to try out some sun-care products that I probably wouldn't have picked up myself, but thanks to Chickadvisor* I got the opportunity to try them. Spoiler alert: I love them. 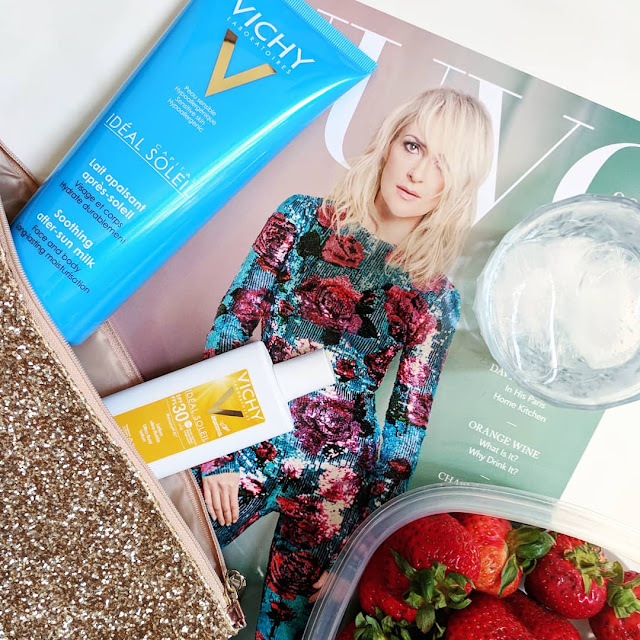 Continue reading for my full reviews on the VIchy Idéal Soleil Ultra Light Lotion SPF 30 and Vichy Idéal Soleil After Sun Hydrating Milk Care. I really enjoyed this sunscreen. For me, it lives up to it’s “ultra light lotion” claim and I don’t notice too much of a white cast. Though it is quite fast drying, it is still an easy product to apply. It hasn’t broken me out or given me any skin irritations which I am not surprised by because it doesn’t leave my skin looking greasy throughout the day. This lotion is quite pricey for the size that you get (30ml - and it's the same price as the ), but if you are looking for a new fairly matte sunscreen to try, this might be a good choice. This Vichy Idéal Soleil After Sun Hydrating Milk Care is pretty amazing. I never give much thought into after sun-care so I typically go for the cheaper drugstore brands, but I don’t know if I can go back to those having tried this product. The after sun hydrating milk care has ingredients that not only helps nourish and repair the skin after sun exposure, it also makes it more resistant against subsequent sun exposure - a huge bonus. This product has a lovely clean scent and a light milky consistency so it is super easy to apply. It leaves my skin feeling and looking so soft and supple that I have been using as a regular moisturizer, regardless of whether or not I have been spending time out in the sun! That being said, it is a bit pricey to buy solely for the purpose of a moisturizer but in the summer it is totally worth it. I feel like it really adds an extra level of care and overall nourishment which allows you to spend even more time outdoors. These two products are easily my favourite new discoveries this summer. I always have them ready if I know that I would be lounging out in the sun! I will probably continue to use and repurchase the ultra light lotion throughout the year, and will finish up the After Sun Hydrating Milk Care until next summer rolls around! If you are still making the most of this gorgeous summer weather and sunshine like I am, I definitely recommend you check these products out! *received products free for testing purposes but as always, reviews are honest and opinions are of my own. I've been wanting to try more DECIEM products so I made a little skincare haul on Hudson's Bay. 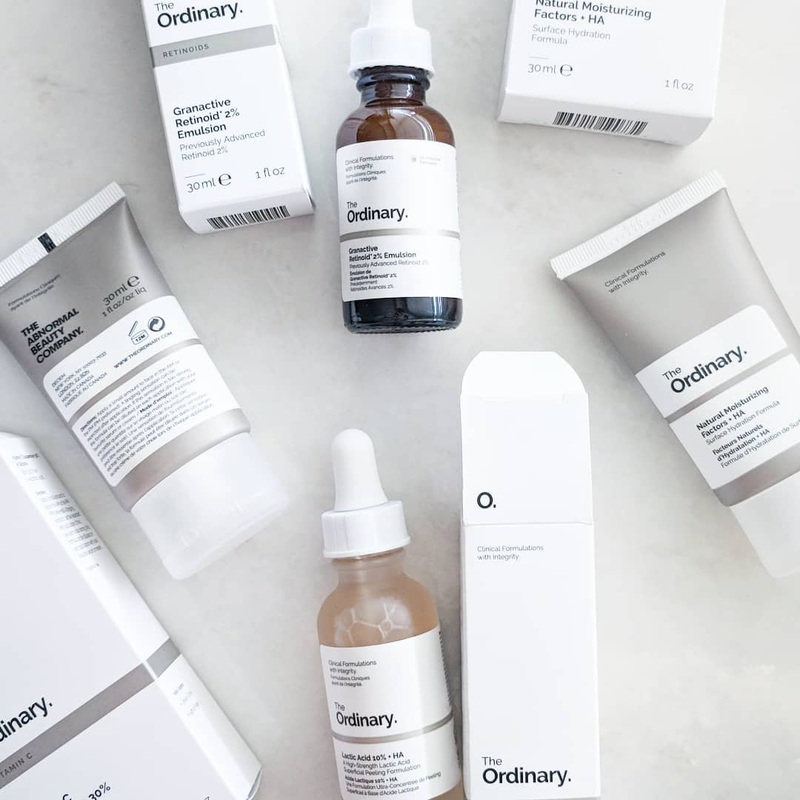 It's hard to get everything on my wish list because as you may know, DECIEM - notably their line, The Ordinary - has been very buzzed about: it's affordable, and their ingredients and benefits sound pretty intriguing and effective. In Canada, you can get DECIEM directly from their website, Well.ca, and Hudson's Bay. They also have been opening up a bunch of stores all over the world! If you have a big wish list I suggest ordering through their website or going in-stores; however, I prefer to shop online because I get cash back on eBates (you can too - sign up here! Both Hudson's Bay and Well.ca are on eBates.ca). While there are still a ton of products I'd like to try, I was only able to pick up a few things that I thought would help with some of my current skin concerns. Granactive Retinoid 2% Emulsion (30ml, $9.80)- Honestly, a big reason I picked this up is because I read from somewhere that Kim K supposedly loves and uses this. I fell for it but it does sound promising. I also have been meaning to add a retinoid to my skincare regime to help fight against signs of ageing. Lactic Acid 10% + HA 2% (30ml, $6.70)- I love chemical exfoliants to give my skin a nice glow and to hopefully help improve my hyper-pigmentation. The Ordinary also offers a milder version (5%) but I went with this one because you can always dilute it if it too strong for you. Vitamin C Suspension 30% in Silicone (30ml, $6.80 CAD) - This is both a brightening and anti-aging treatment. I was sold on the vitamin C/antioxidant aspect of this product to hopefully help combat the everyday effects of the pollution from the city, etc. Natural Moisturizing Factors + HA (30ml,$ 5.80 CAD)- As the name states, this is suppose to help with hydration. I really like products that have hyaluronic acid in them to help keep that moisture in the skin. I picked this up to counter the dryness of my skin after using all that drying acne product. It's important to keep your skin nice and hydrated in my opinion. I was also intending on repurchasing the Niacinamide 10% + Zinc 1% to help with my blemishes but unfortunately it was sold out at the time. If you have acne prone skin though, I recommend that you look into this formula. It is quite popular and has pretty good reviews - from me included! I feel like it helps keep my blemishes at bay and improves the overall appearance and feel of my skin. I am looking forward to trying these awesome products and reviewing them as soon as I can so stay tuned for that! Lancôme Monsieur Big Mascara - I got to try this mascara thanks to Chickadvisor and I genuinely love it. It has a big brush so it is able to grab all your lashes in one swipe. I definitely recommend this if you love having volumionus lashes. MAC Lipstick in Candy Yum Yum - I agree, this shade is slightly too bright and more suitable for spring and summer! But I like to break this out now and then because it's bright and it makes me happy. I think it goes well with a dark scarf and outfit. Who says you can't wear bright lipstick during the fall and winter? Anastasia Beverly Hill Brow Wiz - This is a cult favourite and I can see why. I've tried a handful of drugstore brow pencil and keep going back to this one even though it's 3x the price. The pencil is pigmented and goes on so smoothly and easily, and it stays on all day. Definitely worth the splurge! Kylie Cosmetics in Koko K - I am obsessed with this shade. Its opaque (I can easily get away with one or two layers) and it is long lasting without being overly drying. It's not too bright so its appropriate for the fall and winter! MAKE UP FOR EVER Full Cover Concealer - This has been my go to concealer. I use it in the summer when I can't be bothered with heavy foundation, and I use it in the fall and winter when my skin is drier and I don't feel like putting foundation on my dry skin. A little bit of this stuff goes a long way! 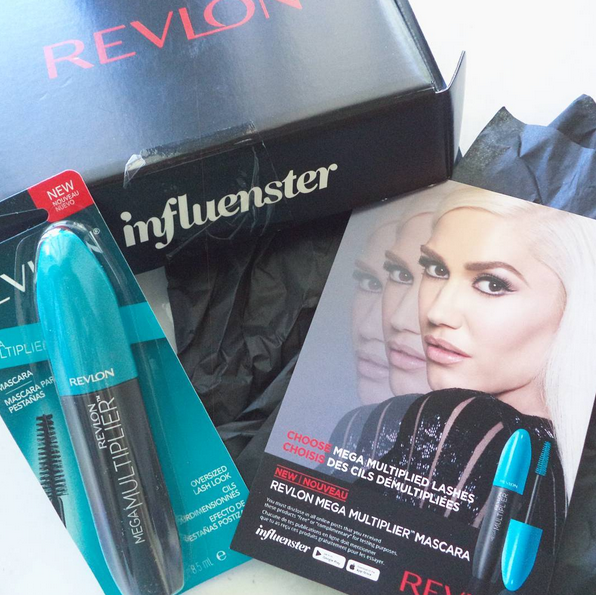 To be honest, I haven't had the most luck with Revlon mascaras but I am always intrigued by new mascara formulas. Revlon Mega Multiplier mascara promises “mega volume and extreme length” but I didn’t get that at all. I’ve tried other fiber/tubing mascaras before and this Revlon one fell flat compared to the others. It didn’t do much for my lashes: I didn’t get enough volume or length! In general, I find that most tubing mascaras don’t allow me layer on the mascara without getting clumpy anyway, and this one was no exception. With that being said, it is a good mascara if you are into a more natural look and are looking for a just a little something for your lashes. It is also more affordable than the other tubing mascara out there in the drugstore, which is a plus if you 're interested in trying the tubing technology. Note that while this mascara doesn’t tend to flake or smudge underneath your eye, it is not waterproof - the tubes will break off and run down your face if you get your lashes wet. I received this as a gift from Influenster for testing purposes. Welcome to beautykissxo, a beauty and lifestyle blog by Jenn & Nicole! We are currently busy with other projects, but stayed tuned for more frequent blog posts! Blog best viewed on Google Chrome.